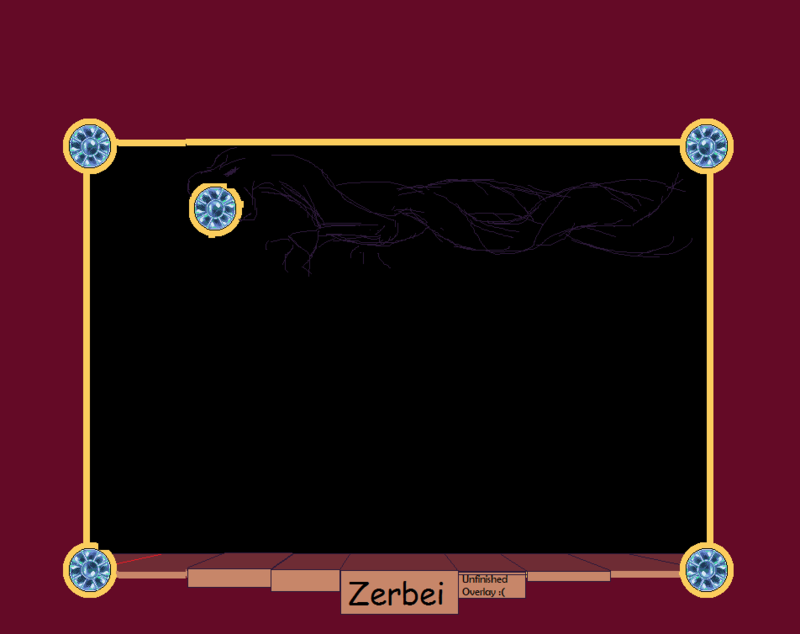 I'm working on this big monster of an Stream overlay piece. I got the gems the way I want and now for twisting dragon for the top holding the gems in the mouths. Could use a bit of pointers on the positioning of the dragon heads, aswell as the bottom part right now I just have a filler. IDK man, you could have drafted this out and taken this further especially on a huge piece. I'm not getting a visual direction and the dragon is just blocking out a huge chunk of whatever is behind it. Few rough redraws so you see what I mean. If this is going to be metal, big brother had a process thread for a metal(ish) HUD way back here. Wherever you want to take this overlay you can probably borrow things from his HUD design as well.